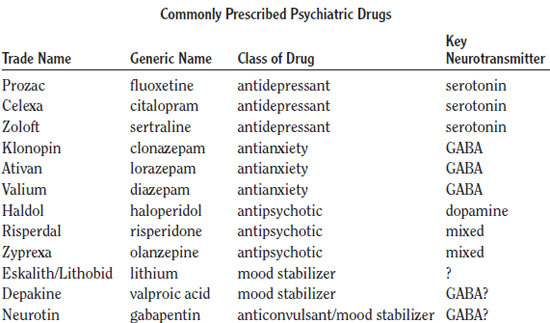 What are some commonly prescribed psychiatric drugs? All drugs are given a generic name, which is a unique name for their chemical structure, and a trade name, which is essentially a brand name. When the drug’s patent runs out, other manufacturers can produce the drug but only under its generic name. The table below lists commonly used drugs and their uses.